The team at Foxtons House Clearance were called by the niece of an elderly man whom had spent a great deal of time in hospital. It became apparent that unfortunately, he would be unable to return to his home in the Edinburgh area and would be sadly going into a nursing home. We were asked to clear out his 2 bedroom property prior to the property being put up for sale. 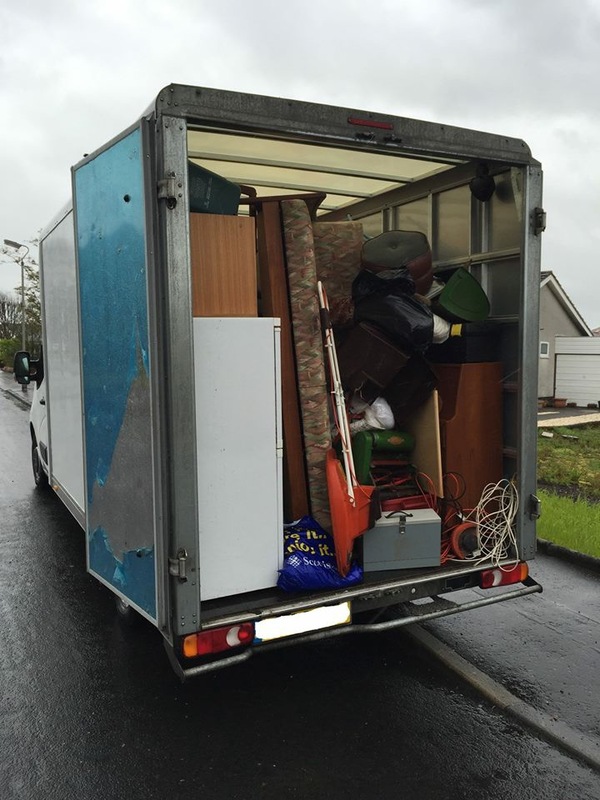 On the morning of the clearance, we sent out a team of 3 members of staff that were already in the Edinburgh area, all of whom are fully licensed and insured and of course wearing full uniform, to carry out the full house clearance. They arrived at 9am as agreed in one of our large furniture luton vans. 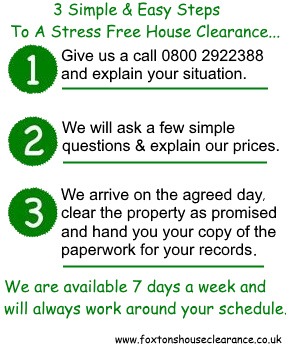 We were met at the property by the customer to gain entry, she then left us to complete the clearance. We agreed that she would be contacted once we were finished in order to check the property and to get the keys back. The customer asked that all house contents, were to be removed. 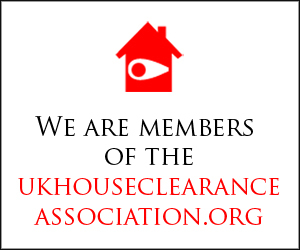 The house clearance took the team 1 hour 30 minutes to complete which is when we contacted the customer who returned promptly. The property was rather small, it therefore did not have a great deal of furniture, however, what was there was in very good condition. We have a large list of charities that we work alongside with, we contacted a local charity to arrange a drop off of the furniture that we felt was in good enough condition to be reused. The house contents that were not fit for charity were taken to a local pro recycling centre where they were categorised and recycled. We have an extensive, nationwide contact list of approved recycling centres that we work with. 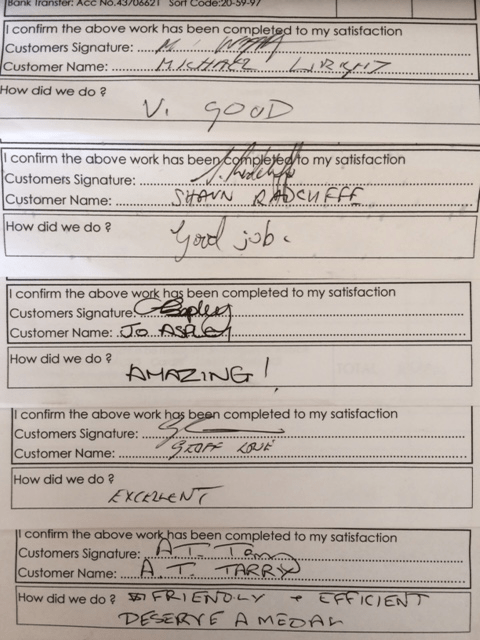 The customer was extremely surprised at how quickly we were able to clear the property, and was happy that the house clearance was thorough. She was also pleased that many of furniture items were going to charity. Overall, a successful job by the team at Foxtons House Clearance.